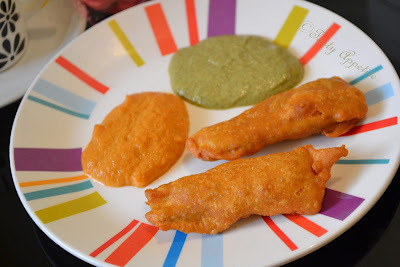 Hot N Spicy Bajjis are an irresistible snack during cold wintery days with piping hot Indian Masala Chai..! It is a favorite among all age groups. I have great memories of my mom preparing this for us & we would empty the plate within minutes..! In this recipe, the thinly sliced raw banana are dipped in batter and deep fried in oil to crisp. It makes a yummy combo with mint chutney, coconut chutney or red chutney. Try this common and much loved snack recipe today & enjoy the spicy taste..!! 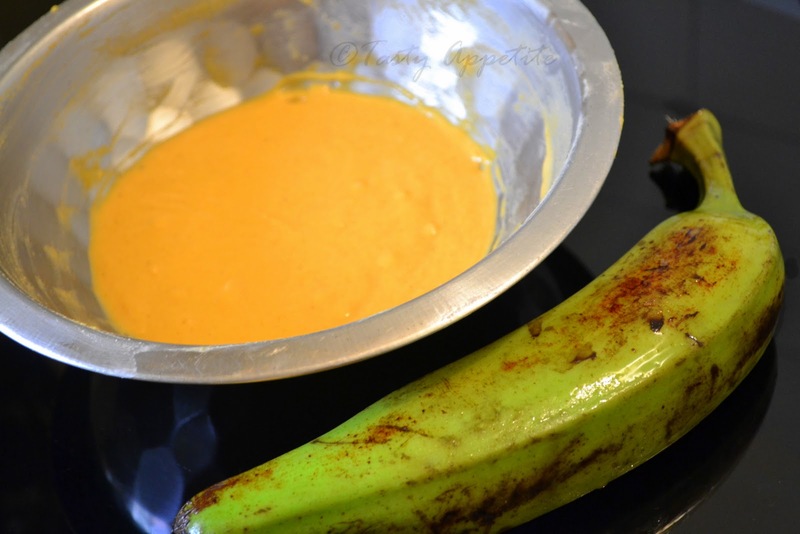 Wash and peel the skin of the plantain. Slice them into thin slices lengthwise. It shouldn’t be too thick or too thin. Mix the besan flour, rice flour, red chilly pwd, asafetida,salt and baking soda. Add little water and make a batter of thick consistency. 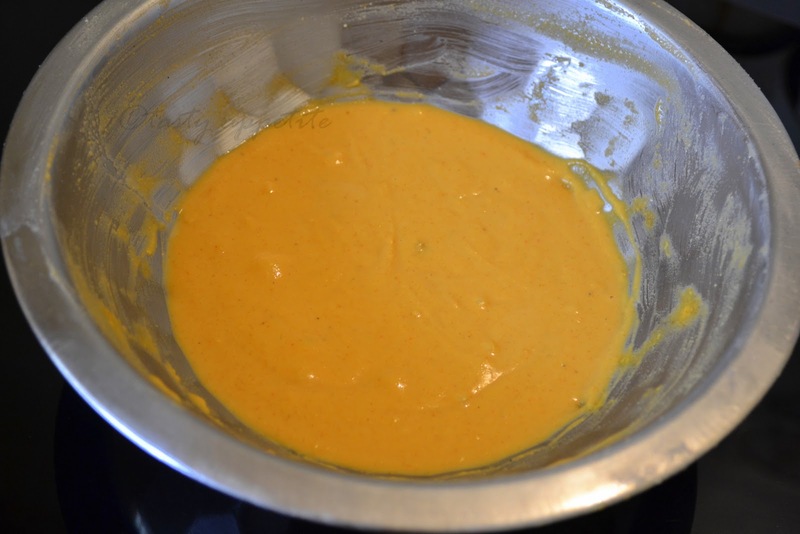 Dip the slices in batter, so that it is coated evenly. Meanwhile, heat oil in a pan in medium flame. Once the oil is hot, drop the coated slices one by one. 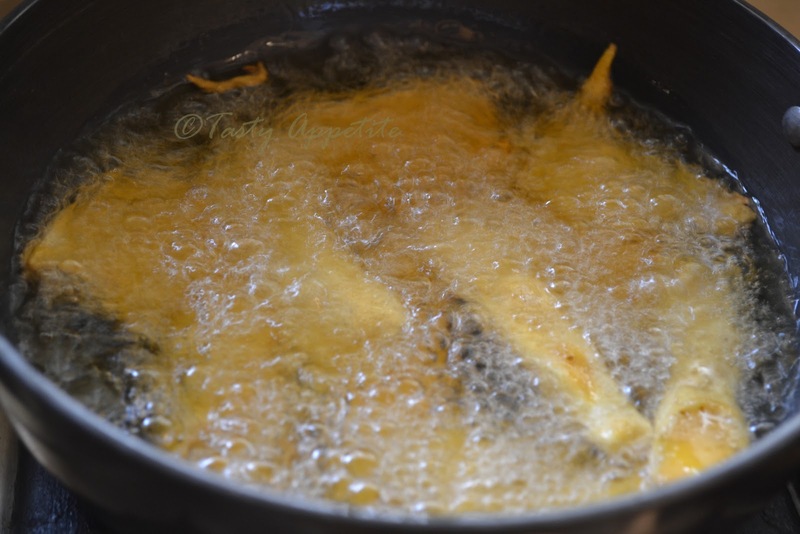 Fry till the bajji are cooked and turned into golden brown color. Transfer them into a kitchen tissue to remove the excess oil. 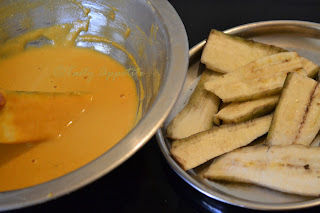 Serve hot with mint chutney & red chutney..! I love banana fritters..congrats on receiving the award! 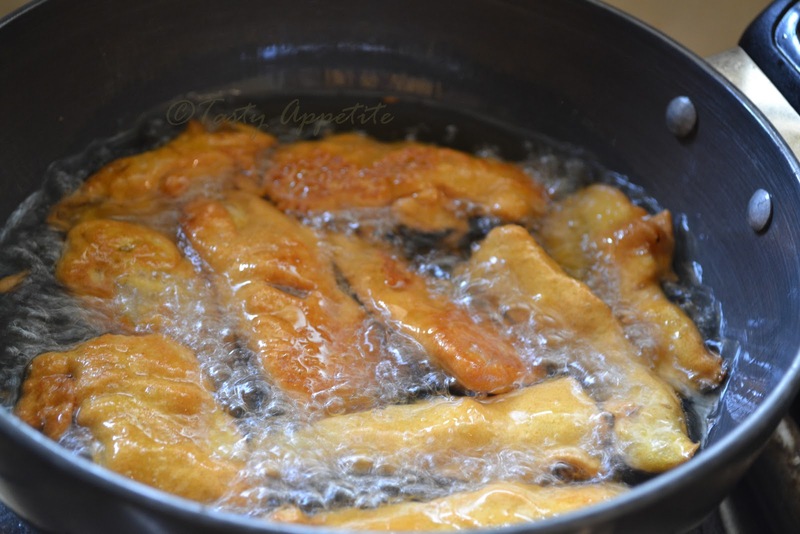 Banana fritters making me hungry..
Love to try this recipe, sounds great! Bhaji looks simply awesome. Wish I was there to have a taste of it. Jay I am so tempted seeing ur bajjis can u please parcel me a large quantity. Those bajjis look heavenly crispy, I wish I had some to munch on right now. Bajjis looks crisp and delicious.Congrats on our award,wishing you and your family happy new year 2012.
crispy and super tempting bajjis tempts me a lot,mouthwatering here..Congrats on our award,wishing you and your family happy new year 2012. Buñuelos de plátano... qué rica receta de postre o para cualquier merienda. 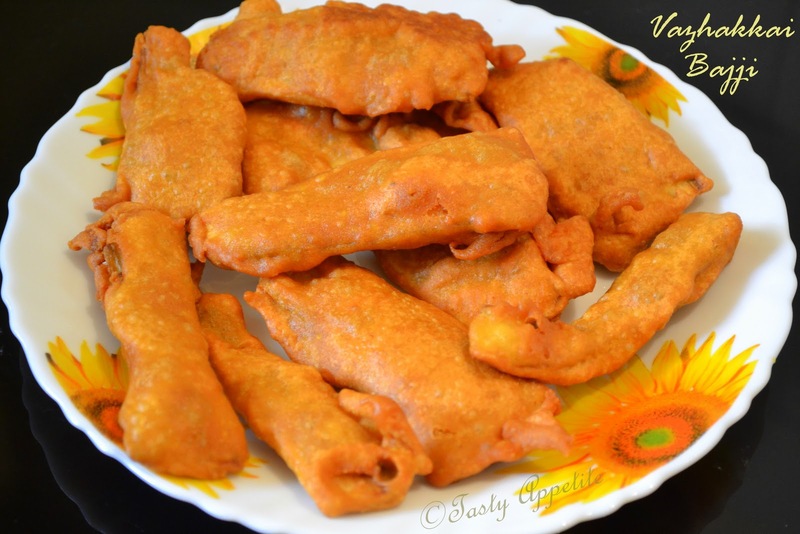 My all time favorite snack..looks very tempting..Happy New Year..
Yummilicious n crispy fried ones..
Congrats on your well deserved awards and Thanx a ton for passing it to me,Jay!! Feeling honoured..
looks great, perfect on a rainy day! I love almost everything with bananas and sweet. thanks for stopping by & taking time to browse..
Banana fritters looks crispy, yummy, tempting and lovely. Perfect for snacks. Heartiest congratulations to you for your award. Thanks a lot for sharing this lovely award with me. Mmmmm....I grew up on fried plantains. Congrats on your award! yummy bajji's! Really tempting..these will be really perfect with hot cuppa. Wonderful and tasty with that cup of hot tea. hi jay, a very happy new year to you! Always loved this raw banana bajji, The presentation is superb, feel like picking up from the plate and polishing off the whole plate. awesome jay. kela pakoda tastes yummy. now i know when i go home i m making this.. and congo for the award. just a query.. how does this award thing work? Jay, I would eat anything covered in that tempting, crispy batter! No wonder these are so popular...yum! thanks for passing me the award. u made me really happy.. Thanks for visiting my blog. Looking through your recipes, and easy tutorials impressed me, so now I follow you, and can't wait to try some of your tasty presentations. These look delicious! I may have trouble finding some of the ingredients here, but am sure going to try! 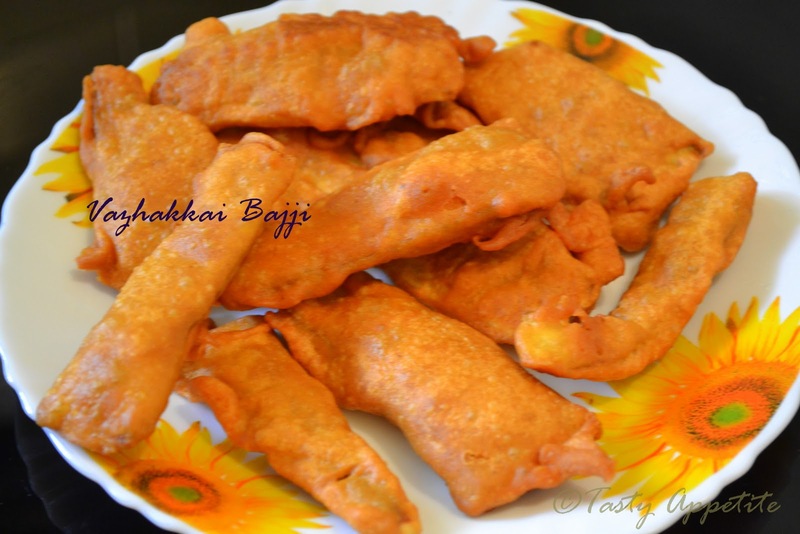 I'll happily have some crispy bajjis rite now..tempting.. Thanks for visiting my blog Jay! Great recipes here! Its perfect for the chill weather here and I love them :). Congrats on the award. Perfect on a cold day like this, looks superb. Congrats on your award. Tasty, spicy & delicious bajis!!! Loved them :) Congrats on ur award & thanks a lot for sharing it with me!! Congrats on the award.Fritters are the perfect tea-time snack. Perfect snack for cold evening.Congrats on your award. This got to be a yummy fritters ! What a yummy snack! Congrats on your fantastic award! This looks something similar to a Philippine snack called "maruya", I love this! Super! Looks great! I will try it! 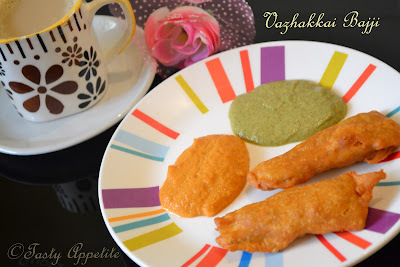 Thanks for your lovely comments friends..
Vazhakkai Bajji's are superb. Congrats on your award.